Here are the movies at Lanzarote’s famous open air cinema for April 2019, featuring Ferdinand, Bohemian Rhapsody, The Greatest Showman and more. Brilliant excursion combining a vist to Lanzarote’s famous fire mountains, with a barbecue with sea views and all you can drink sangria! Local brief news this week includes a Playa Blanca burglar arrested, Canarian statues in Texas, viral video of Brits fighting on a flight and more. This week Norman saw some challenging art at one of our favourite venues and reports on Lanzarote musicians playing in London. 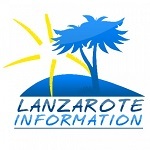 Lanzarote job for someone to work in a bike and motorbike rental shop in Puerto del Carmen on a part time basis in the afternoons. We don’t get jellyfish in Lanzarote very often, but here’s what to do in the unlikely event you get stung by one on our beaches.